Southern Bleacher is the perfect partner to help you build a stadium you can be proud of. To prove that we offer a fully specifiable design with CAD-based concept drawings free of charge. After we complete your concept drawings we will be able to provide you with an accurate project cost and give you the ability to alter and adjust your designs as needed to best fit your project's costs and requirements. Andy Smith is not only dedicated to the successful completion of his projects but he is also a dedicated family man and avid golfer. Andy Smith is not only dedicated to the successful completion of his projects but he is also a dedicated family man and avid golfer. 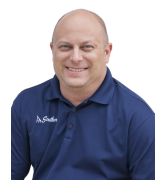 With more than 14 years of experience at Southern Bleacher, Andy has had major roles in our design, detailing, fabrication and construction departments. He spent 8 years managing the construction on all of Southern Bleacher projects in the western United States, Canada and major projects nationwide. Series game 6, Texas Rangers vs. Detroit Tigers at Rangers Ballpark in Arlington, TX. The Rangers had a nine-run third inning and ended up winning 15 to 5, clinching the American League title for the second year in a row. © 2019 Southern Bleacher, Inc. All Rights Reserved.